The healthcare providers across the globe are using science and technology to improve patient care experience, optimize healthcare facility and reduce healthcare costs. 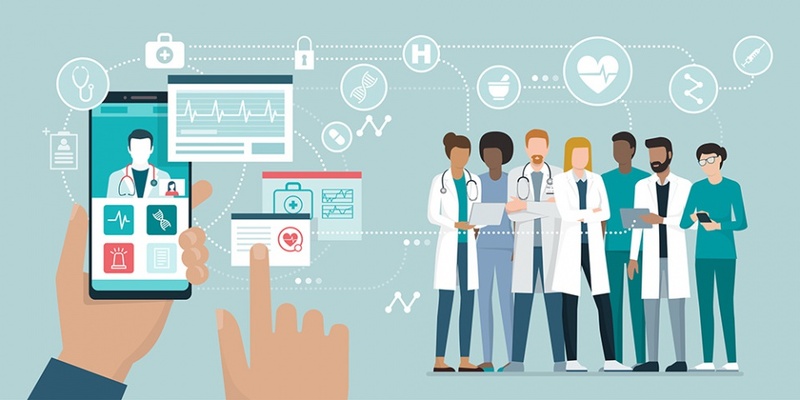 The central theme to all healthcare endeavors is improving the health outcomes of the patients; however, for addressing this, it is important to integrate system, process, and people and optimizing communication between different stakeholders. Therefore, the current IT solutions should foster patient centricity for payers and providers. At Test Triangle, we have experience in offering software development services to the healthcare organizations and hospitals. Our testing solutions are industry-customized as it has several features such as regulatory reforms, accountability and affordability. Test Triangle’s healthcare domain experts offer solution with great IT integration, and adherence to constantly changing provincial policies. There are several challenges in healthcare industry such as issues with healthcare facility, security and privacy issues, lack of proper knowledge management system and persistence of manual errors. The digital health can be achieved through wearables, connected systems, real-time analytics, health watch and biomedical devices. These technologies are growing day-by-day and shaping the future of healthcare industry. Test Triangle helps the organizations in creating a digital ecosystem with patients, caregivers and providers. Test Triangle has deep experience in helping the healthcare organizations in conducting research and outcome-based studies for offering value-based care to the patients. Test Triangle helps creating outcome-based solutions in creating differentiated capabilities and helping healthcare organizations becoming high-tech patient-centric organizations.